Disponibilidad: Only 8 left in stock - order soon. 4 lighting Mode,3 color (blue, red, and green)individually Lighting and alternately lighting. 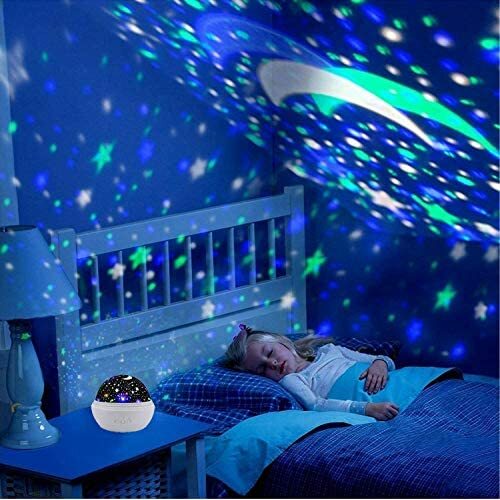 2 optional Films,Starry star and undersea world,Projected to ceiling and wall with different color light. 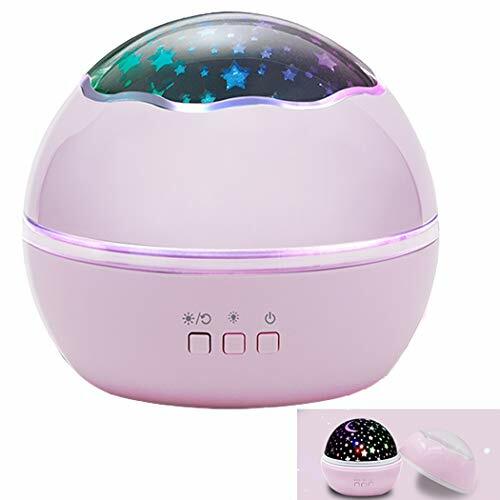 360 degree Rotating, press the Rotation Button,enjoy the moving sky and undersea. 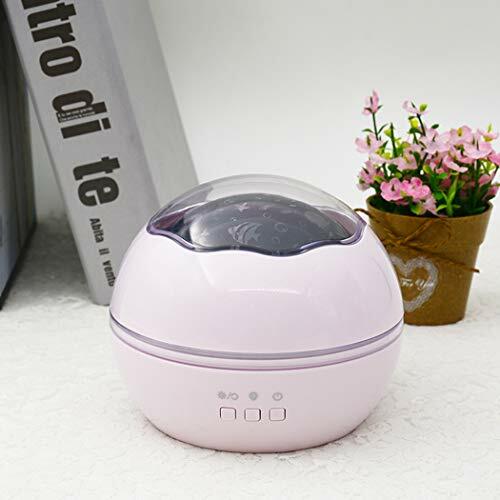 Easy to use,Use the three funtional button,power switch,Light color mode changing,rotate and lighting selecting. 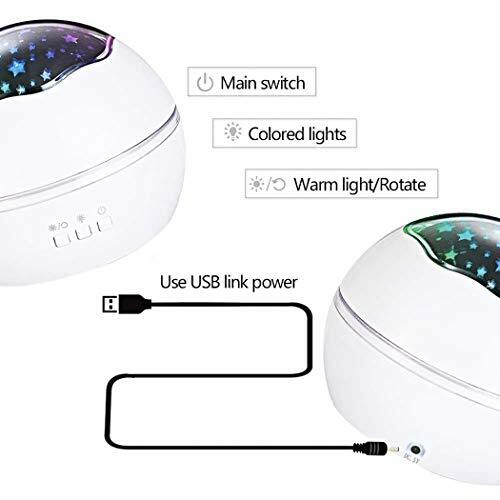 Multiple Power source,Powered by matched USB cable (adapter is not included) Or 4 x AAA batteries(Not include). 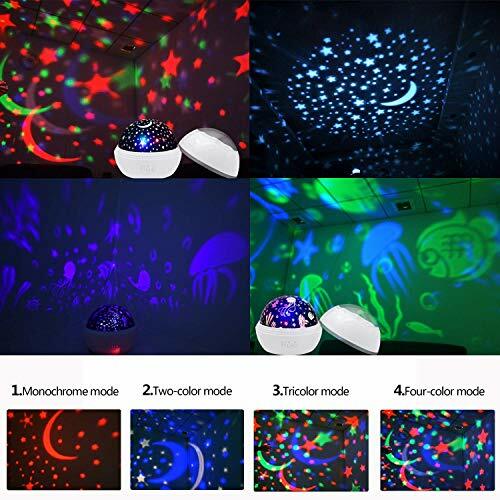 Night light or projecting light, different combination of colors, can be used in rooms, parties etc. 1. 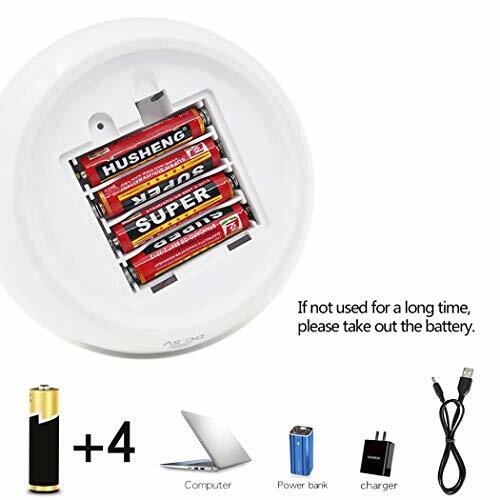 Two methods of electricity supply, USB connection or 4 x AAA batteries. 2. When use as a night light, you need to cover the acrylic shade. 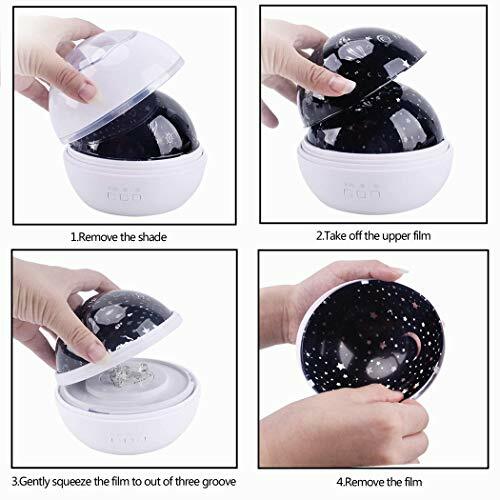 Remove the shade, then it will be used as a projector. 1. One year’s quality guarantee.